A flowering lace motif meanders up the panels of this long tunic. 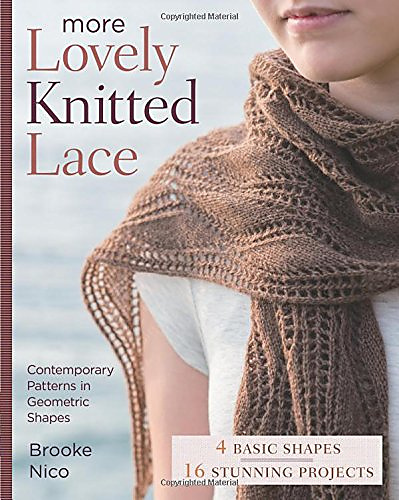 The panels are knit separately and feature and easy-to-remember pattern, making this a great take-along project. If the thought of making an entire dress intimidates you, think of it as knitting scarves. 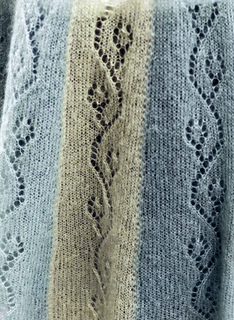 Simple short-row shaping in each of the panels creates the elegant A-line shape of the tunic, and the lovely mohair/silk blend gives it an ethereal quality.